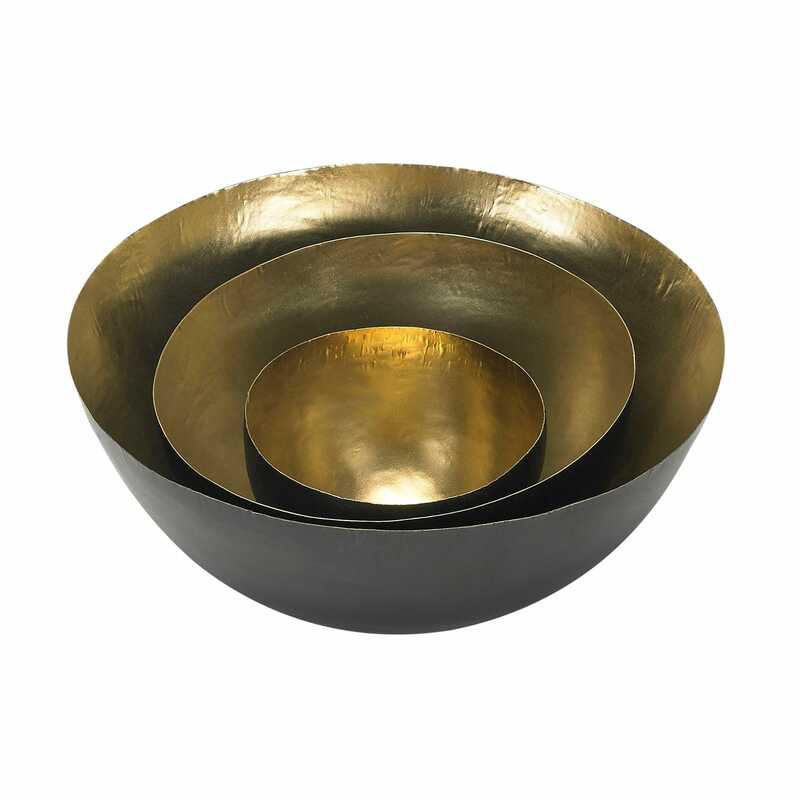 A nest of three delicate dishes, each of the Form Bowls are handmade from fine sheets of brass and finished with a warm gold wash with matt black back. 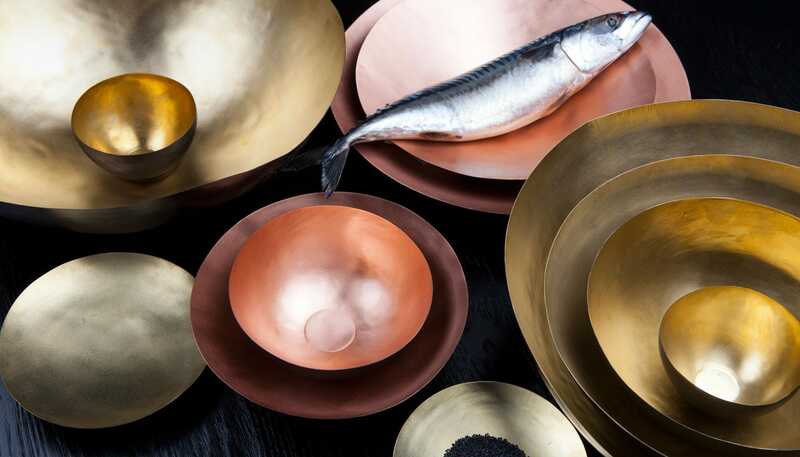 The expressive surfaces are achieved by hand beating and hammering the brass making each a one off piece. 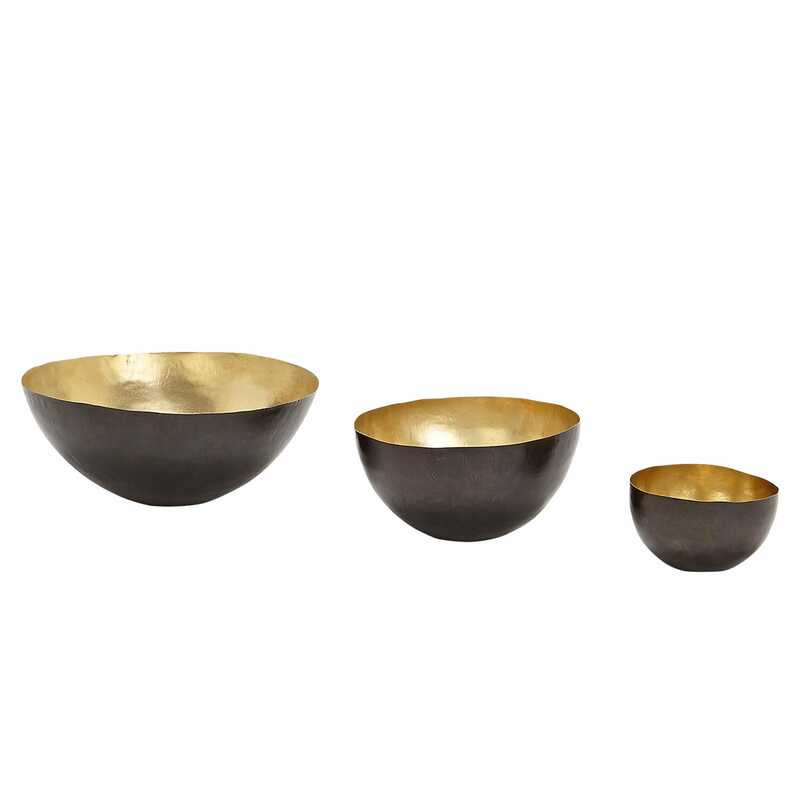 Please note due to the handmade nature of the design measurements will vary slightly.